Based on the Lunar Cycles, the Seasons & the Zodiac. Do You Want to Work With Life, Rather Than Against It? It’s time to stop struggling on an artificial timeline, and start thriving with the natural cycles! Plan your quarterly goals with the Solar seasons, and get in the creative flow of life. Plant the seeds of your monthly intentions with the Lunar cycles, and let the moon manifest your desires. Thousands of years ago, we used to do this instinctively. But for the past two millennia we’ve been using a calendar system that’s based on an abstract and artificial way of measuring time. We’re living on an artificial timeline that’s dissociated from reality. And it’s making us, and our world, sick. And as we become more and more disconnected from our own instincts, the natural world and the cycles of creation. Wouldn’t it make more sense to use a calendar system designed by nature to help us thrive - not just merely survive? That’s why I’ve created the Aligned Calendar. Based on the seasons and lunar cycles, the Aligned Calendar is a natural and authentic way of measuring time that helps you thrive in alignment with life, harness the forces of creation, and feel like you’re part of nature. This Is A Digital & DIY Printable Calendar. Southern Hemisphere & Northern Hemisphere (GMT or PST) editions are available. A yearly planner to help you break down your yearly goals into seasonal goals. The calendar year divided into the four seasons, Spring, Summer, Autumn and Winter. Prompts for goal-setting for the quarter ahead at each solstice and equinox. The seasonal midpoints or sabbats, Beltane, Lammas, Samhain and Imbolc, are also marked. Each month starts on the New Moon, rather than following the regular calendar months. Each New Moon is in a different zodiac sign, which sets the tone for the month ahead. You get a space for your New Moon intentions. 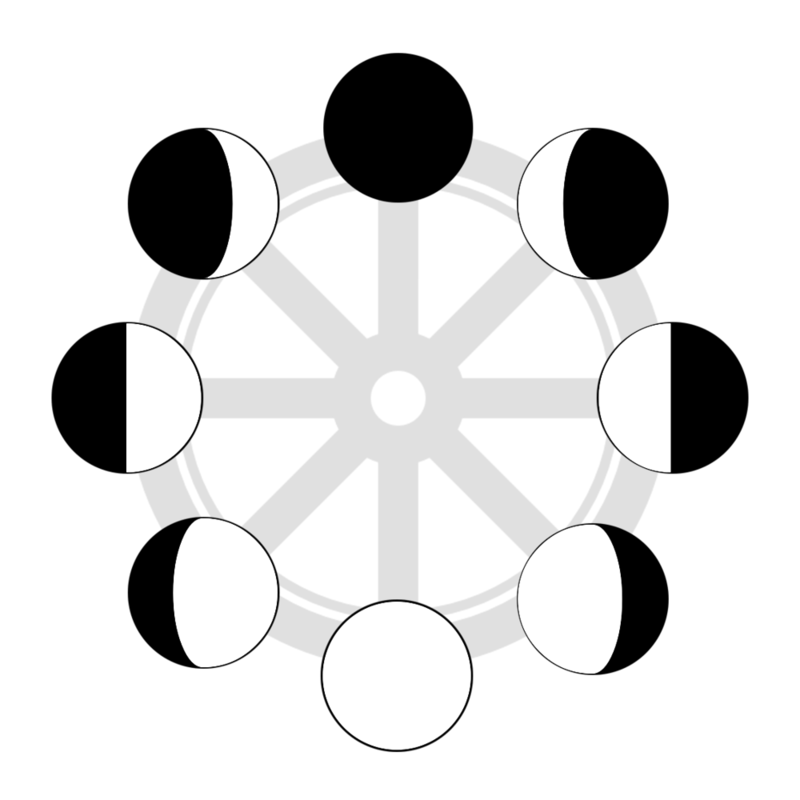 Total and partial eclipses are marked. Daily Moon phases and zodiac signs are included. You get a one-page lunar manifestation guide on how to work with the Moon each month. Each calendar day includes the current Moon phase. The exact times of the four major phases (New, First Quarter, Full and Third Quarter) are also given. 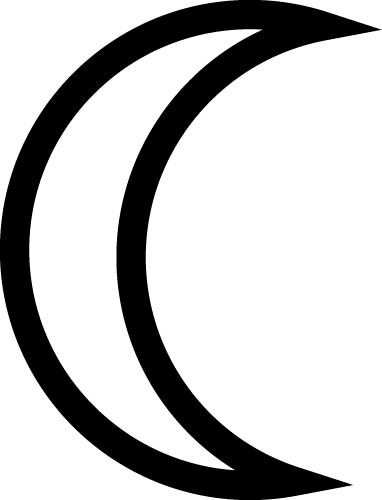 The Moon’s current zodiac sign is marked on each calendar day. You can tap into the energies of each sign and work with it in daily life. You get a specific mantra for each zodiac sign and a description of each element, so you know what it means and how to work with it. All three 2019 Mercury retrograde periods are included. 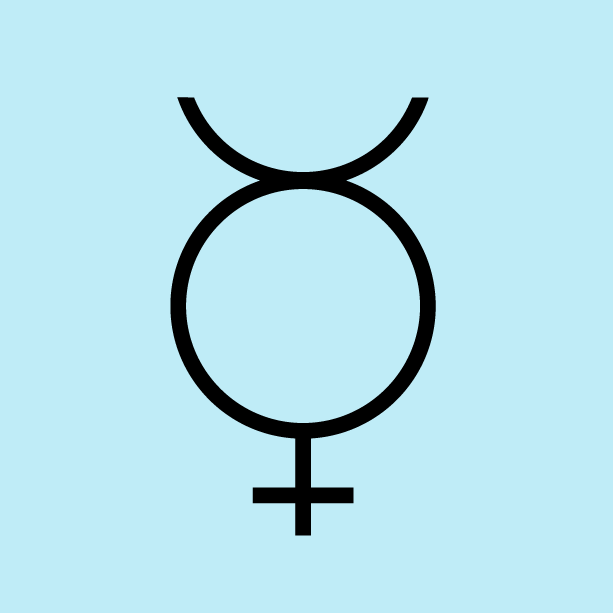 Mercury retrogrades are often considered “bad” times for communication or travel - but you can use these times to your advantage. BUT WHY BUY A CALENDAR WHEN ALL OF THIS INFO IS AVAILABLE ONLINE? You’re right: this is not secret knowledge. You can spend 20 years researching it like I have, or Google what’s going on every day to stay in the loop. But I’ve put it all in one place for you, and all you have to do is follow along with the beautiful pages on your wall. I’ve also broken down the steps of working with the lunar cycles and solar seasons in a way that’s going to help you take action. You get a clear, concise guide to both cycles, and practical prompts to help you stay on track throughout the year. It’s so much easier than figuring it out on your own. Everything you need to know about working, and manifesting, with the Moon. Includes my special Four Element Manifestation practice - which you are going to love! The calendar months begin on January 5/6, 2019 - the first New Moon of 2019. The calendar months end on December 24/25, 2019 - the last day of the final lunar cycle of 2019. I’ve had a close, personal connection with the solar and lunar cycles for decades, having spent most of my life living off-the-grid in the forest, where I’ve been immersed in the changing seasons and moon phases. Obsessed with discovering the mysteries of the stars since childhood, when I first picked up my mum’s astrology books, I now mentor other people in the ancient art of astrology. It’s my mission to help people use this wisdom to make practical and helpful changes in their everyday lives. 1) A convenient, fillable PDF that you can use on your computer or mobile device. 2) A high-resolution printable file which you can print at home or take to a professional printer to create a beautiful hard copy product. Included are basic printing instructions and suggested specifications, but please be aware that printing results will vary depending on the paper and printer you are using, and I can’t give individual advice or assistance with printing. After you order, you’ll immediately receive a link to download your calendar package. As this is a digital product, all sales are final and there are no refunds.